My patients are like family to me, I love helping them. 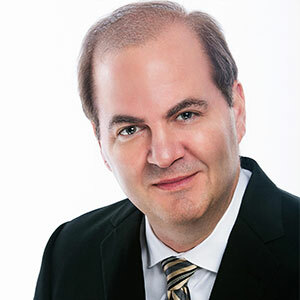 George J. Schmieder, DO, FAOCD, FAAD, founder of Park Avenue Dermatology has a dedication and concern for his patients and staff that sets Park Avenue Dermatology apart from all other Dermatology and Mohs Surgery practices in Jacksonville. Dr. Schmieder has personally hand selected a team of the finest physicians and surgeons committed to his dream. He is a board certified dermatologist and Mohs Skin Cancer Surgeon having successfully performed over 25,000 cases of Mohs Skin Cancer Surgery. Dr. Schmieder completed his dermatology residency at the esteemed University of Miami. He is a subject level expert in cosmetic and laser dermatology, as well; Dr. Schmieder is a cut above everyone else. His dedication to his community and country is evidenced by his 20+ year commitment to the U.S. Navy. Park Avenue Dermatology recently opened its fourth office at UF Health North located just off 1-95 near Jacksonville International Airport. Dr. Schmieder is devoted to teaching and recently began the Park Avenue Dermatology Residency program. Academic research has also been one of his personal endeavors demonstrated by the many past and present clinical research studies offered to the community. Park Avenue Dermatology performs clinical research trials on diseases such as acne, atopic dermatitis, psoriasis, pre-cancerous skin lesions and more. Keeping up with the most advanced treatments, Park Avenue Dermatology offers XTRAC Excimer Laser at two facilities for vitiligo and psoriasis. Dr. George Schmieder welcomes you to his staff and facilities for the finest skin care in the greater Jacksonville area.